Every spring Amaturo Sonoma Media Group hosts an event featuring the newest and best of Sonoma County’s outdoor products and services. This year we’ll be celebrating our adventurous lifestyle the last weekend of March. Join us for the North Bay’s Fourth Annual event for all things outdoors. 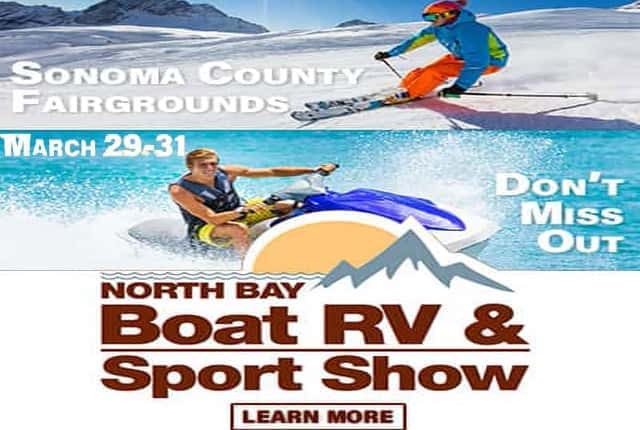 Three days of dreaming about summer days, surrounded by boats, RVs, trucks and toys, motorcycles, ATV’s, bicycles, and lots more outdoor fun!